Chung Lao: Ify, how’s it going man? Ify: Everything considered, I’m doing really well. I thank God. Ify: I’m a citizen of the world, born in Ireland, grew up in Trinidad, Nigeria, Mali, Gambia, NY, DC, and Baltimore. Ify: Definitely a good site, enjoy coming on here and posting every once in a while. Chung Lao: What are your thoughts on George W as his presidency winds down? How will history ultimately rate him? Will history treat him kindly as it now does Harry Truman? Or will history vilify him a la Richard Nixon? Ify: Bush is in a class, all by himself. A class which even the teacher is absent. I believe that a movie is coming out about him. He is, was, and will always be a JOKE. However, I put as much blame on the individuals that put him in office for the second term. Was I the only one that watched Fahrenheit 9/11?!?!?! What part of “…haves and have nots…” as a base didn’t people understand? He has turned the USA into a 3rd World country. See the statistics. Chung Lao: Obama or McCain? Ify: Actually, I think that Bush should legislate another unconstitutional “Patriotesque” Act, and seek a 3rd term in office. NO ONE should be punished with cleaning up this mess. Chung Lao: How would you fix the current economic crisis? Ify: There is actually no quick fix. But I believe that this issue is only surface level and this country has more to worry about. This country is not only dependent on other countries for oil, but also brain power. Either a job line has been automated or it has gone abroad. Education is a joke and cannot compete with grossly under-funded “3rd World Countries” where people actually learn about the entire world and not just their country. Ify: Depends on gender. For a female, if she is attractive. For a male, I remain cognizant of their actions and all movements within my peripheral. Chung Lao: Autobot or Decepticon? Ify: I would pick neither being that I’m not informed on either and don’t feel like googling right now, lol. Chung Lao: Assuming there were fights between the brothers growing up. 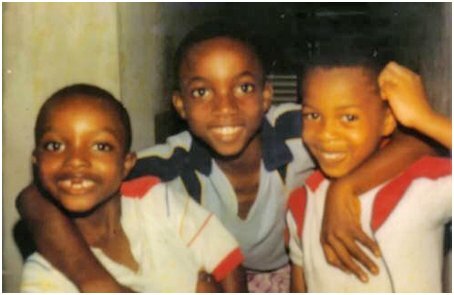 Who emerged victorious most of the time between you, Ugo, Chimde & Ike? Ify: Fights? What fights? Lol. Lets just say that world wars took place, normal for a house full of boys. But we all emerged as losers at the hands of our father and his unsparing rod. Chung Lao: List your Favorites. Not really a car person, but anything sporty. Fufu and ogbonno soup is the next thing to heaven. I eat a lot of Nigerian food. Hmm, I would say working out and watching my favorite news shows, and Southpark. Seychelles is a definite, and of course, my homeland, NAIJA. 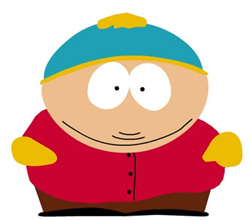 Ify: I admire Cartman from Southpark, he speaks his mind about any and everything. Chung Lao: Alright, time to take you back in the day. Tell us about the consequences of getting to school late in Nigeria and how you and your bros tried to avoid that. Ify: Well, there was this mean teacher that went by the name of “MASTER”. He carried a cane that spanned 5 feet in length, upon entering school grounds late, you assumed your position on the ground and was lashed severely. Other reasons for lashes were not going to Mass the Sunday before, even if you weren’t Catholic, worse if you were Muslim, having dirty or unclipped finger nails, not combing hair, not ironing clothes, not polishing shoes, ad infinitum. Anyway, we were always ready on time, but no one dared tell my father to hurry up and drop us in time, that would have called for a preemptive beating. Plus, we lived in Lagos where traffic was, well, take NYC, Cali and Virginia traffic, combine them, and multiply by 10. Your best bet was to just sleep at school. Chung Lao: IPF intelligence has learned that you had a favorite animal attraction at the beach. Tell us about this. Ify: Huh!!! If you are talking about the beach we grew up on, that would be the horses, I loved the way that the touts used to have their stallions at full gallop risking the lives of all beachgoers. Or do you mean the open-market by the beach where some merchants used to give monkeys alcohol and watch them go crazy? Hmm. Or you may be talking about something in a swimsuit. Take your pick. Chung Lao: The Basketball ritual in NY. This we have to hear. Ify: I see you have talked to Ike, that is the only way you know of this. Anyway, we used to watch a tape called “NBA Superstars”….Everyday. We would then go outside and try to emulate the moves of MJ, Dominique Wilkins, Hakeem, etc. Even the morning during the first day of this years tournament, we listened to the soundtrack… ”You take my breath away” that was sung during MJs part, talk about getting hype!!! That tape is where I got all of my flamboyant moves back in my prime. Chung Lao: New York, New York vs DC. Where do you stand? Ify: Of course I will back my DC brethren. Ify: Well, being a bachelor, I was left with no option. I can hold my own. Ify: One that can cook, clean, and shut up. Oh, sorry, I thought you said “maid”. Ideal wife would be one that gets along with my family, everything else will work itself out. Ify: Chris, haven’t really taught about this. I don’t think this will be pleasing to my earthly and heavenly fathers. Chung Lao: Describe the ideal ham and cheese sandwich. Ify: Chris, are you running out of questions here? What is going on? Ify: I’m a very tolerant individual. People are who they are. Their actions only bother you if you pay attention. Chung Lao: The Gburg UnderDAWGs have risen consistently from 2006-2008. What do you attribute this to? Ify: Breaking off ties with DC. Focus and determination. Playing to win. Chung Lao: How satisfying was the win over DC (which coincidentally was the 2008 BSC Game of the Year)? Ify: To be honest, it really wasn’t. I wanted more of a blowout victory to diminish any doubts, but will make sure of that for next year. I always knew we could beat DC and didn’t show our full deck of cards until the tournament. It also helped a bit that they didn’t respect us, that turned them into panic mode when the game was on the line. Chung Lao: Using your crystal ball, what do you forecast for the UnderDAWGS in 2009? Ify: I forecast a schedule including DC, Chicago, Philly, Texas and Brooklyn. 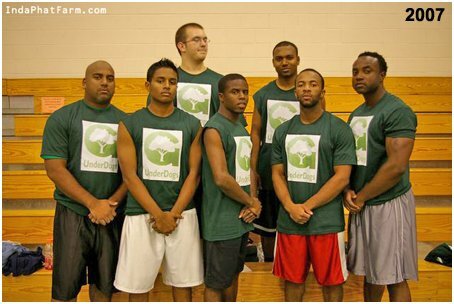 We are coming back for that perfect season record and the Championship. Chung Lao: There are rumors circulating about a possible 3rd team from Maryland being formed, splitting off from Gburg. What are your thoughts on this? Ify: Gburg is great!!! Don’t be scared to leave something great because you fear something great cannot happen twice. I’m all for “Self-Actualization” LOL. But this should be done for the right reasons. 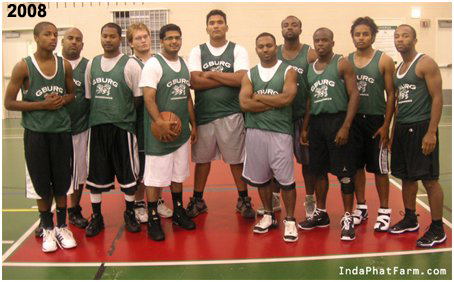 There are 12 open slots for the Gburg 09 squad, so if you practice hard, you can make it. Furthermore, there is no harm playing a supportive role and learning the fundamentals of the game, in time, the rock will be transferred. Ify: We have always been living in end times. Jesus comes and people are raptured everyday. When you die, that is your end time. Ify: A church that basis its teachings on the Bible, and not culture. One that is transparent. I actually go to one now, Jesus House, Baltimore. Check it out. Chung Lao: Alright, it’s the night before the 2009 BSC. After stretching out, you hit the sack with thoughts of a championship season for the GBURG UnderDAWGS. As you rouse yourself to sleep the next morning, your senses are overwhelmed by the smell of rotting flesh. As you jolt yourself awake, you find yourself near several half eat carcasses of what appears to be mid size dinosaurs. You jump to your feet overwhelmed and incredulous to your surroundings. Then the ground begins to shake. To the left, the trees begin to move violently. Something lets out a bellowing roar. In the span of 3 seconds, a massive Tyrannosaurus Rex bursts through the foliage. Apparently you are standing not too far from the tyrannosaur nest, and the mother tyrannosaur isn’t too happy to see you. Holding nothing but your favorite basketball in one hand, and your Gburg Jersey in the other, what do you do? Ify: Alrighty then, first thing that comes to mind is how I can use my business savvy and spare my life. I would put the jersey on the dinosaur, and name her as a starter for the tournament, giving her the ball. I will then convince her that I am but one man and I can take her to Gaithersburg where she can consume the flesh of the beings on the 7 other teams. It will be a bail out plan anyone will go for. Ify: Name, Ifeanyichukwu, meaning: With GOD, ALL things are possible…..Believe that. Chung Lao: Thanks Ify, appreciate it. Next up on The Tonight Show is David Miller of the group Ndelible! Keep it locked in.